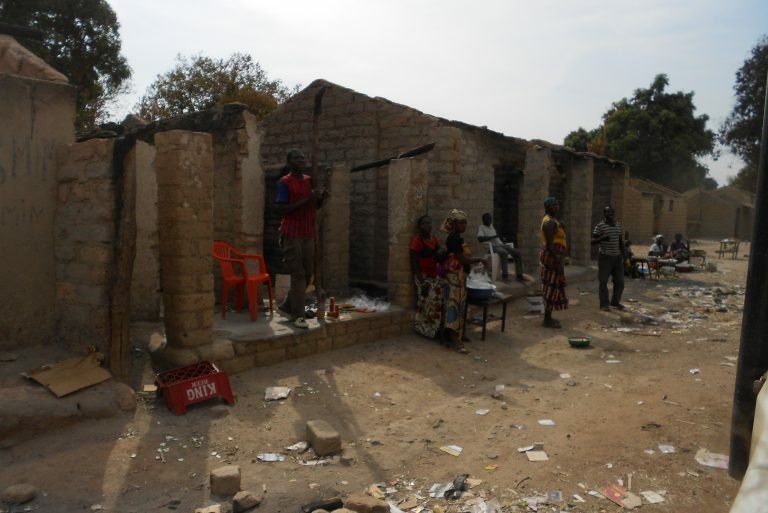 Houses in Ngaundaye destroyed after attacks by Seleka rebels in January 2014. Refugees sheltering in the compound of the Cathedral in Diocese of Alindao were attacked on 15th November by rebel forces (ex-Seleka from General Ali Darassa’s faction). The attack was reported to have been carried out in retaliation for the killing of a Muslim by an Antibalaka militia on 14th. Official reports state that 42 people have been killed, some unofficial reports put the figure as high as 100. Houses in the vicinity were also looted and burned. The vicar general of the diocese, Abbe Blaise Mada, and another priest also lost their lives. According to reports the second priest killed was Father Celestine Ngoumbango, but this has not yet been confirmed. Reports state that one priest was killed during the attacks, while the other later succumbed to injuries.